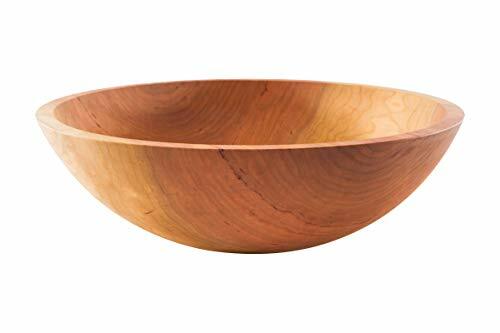 Large wooden salad bowl is handmade from tough, tight grained, Northern grown Cherry trees. Cherry is the wood for a traditional bowl and will grow more beautiful over time. The perfect wedding and anniversary gift.